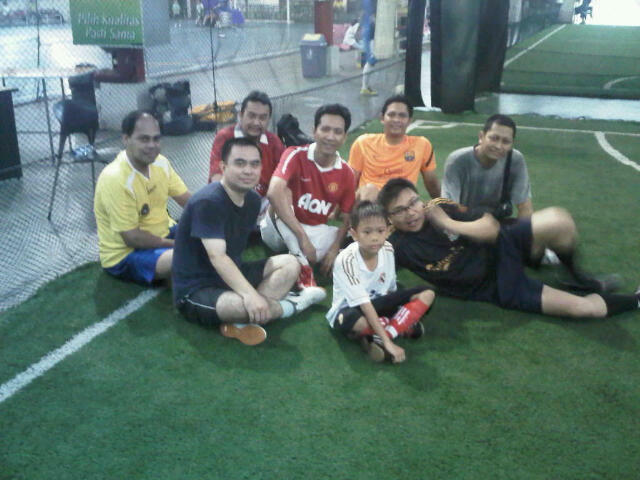 Even though it was raining hard this morning, our FE UGM futsal community played the first futsal game in 2012. Albeit a bit rusty and got tired a bit too fash due to lack match practice, I scored 3 ‘screamers’ in a quite entertaining game. Not bad! Happy.